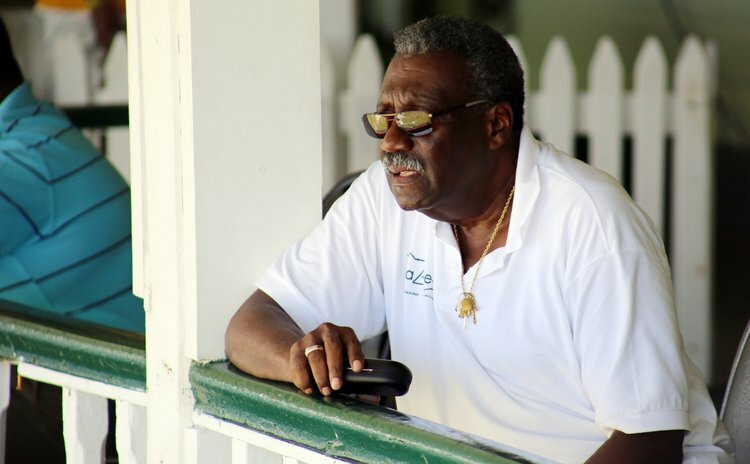 ST. JOHN'S, Antigua – Legendary former captain Clive Lloyd has been appointed the new Convenor of the West Indies selection panel. This follows a decision of the West Indies Cricket Board not to renew the contracts of members of the current West Indies selection panel. The WICB announced on Saturday that former West Indies fast bowlers Eldine Baptiste and Courtney Walsh have been appointed to the new panel which also includes former West Indies wicketkeeper/batsman Courtney Browne – who has been retained – and current West Indies head coach Ottis Gibson, as well as the respective West Indies captain as a non-voting member. Previous chairman, former Test off-spinner Clyde Butts and former leg-spin all-rounder Robert Haynes have made way for the new panel. The changes for the way forward were approved at a directors' meeting of the WICB held on July 12 in Antigua and were announced by Director of Cricket Richard Pybus, who confirmed that Lloyd, arguably the most successful West Indies captain ever, had been contracted for two years to head up the panel. Pybus said the WICB had taken this opportunity to bring new personnel and insights into the selection process as part of the continued review and restructuring of the game in the Caribbean which began with the directors' meeting in March this year. "We welcome the introduction of Clive Lloyd – one of the true legends of West Indies cricket –to the selection panel for the first time," said Pybus. "We are also glad that an iconic fast bowler like Courtney Walsh, and highly-experienced, former international player and coach like Eldine Baptiste have accepted to perform this important function." Pybus added: "Courtney Browne is retained on the panel as both selector and regional talent manager with a specialist focus on youth and women's cricket. "We look forward to their input as we continue to work on building a strong and sustainable cricket system that produces elite cricketers for the West Indies senior teams." Pybus thanked Butts and Haynes for their contribution over the last two terms, when they worked together with Browne to form the core of the panel. "We thank Clyde and Robert for their commitment and professionalism, and the job they have done in a challenging period in West Indies history and we wish them well in their future endeavours," said Pybus. "During their tenure, West Indies were crowned World Twenty20 champions and rose briefly to No.5 in the ICC Test World Rankings." Following his retirement from playing the game after a career that included 110 Tests and 87 One-day Internationals between 1966 and 1985, Lloyd has served West Indies and international cricket in various ways. He has been a West Indies coach, manager and board director, and currently serves on the WICB's debriefing panel which assesses team performances following series and tours. He has also served the International Cricket Council, the sport's World governing body, as a match referee and head of its cricket committee. The 51-year-old Walsh played 132 Tests and 205 ODIs between 1984 and 2001. He has remained close to the game in the region too, serving as manager for the West Indies Under-19 side to the 2012 ICC Youth World Cup, making radio and television commentary appearances, as well as organising coaching clinics in his native Jamaica, where he is now a director on the national cricket association.